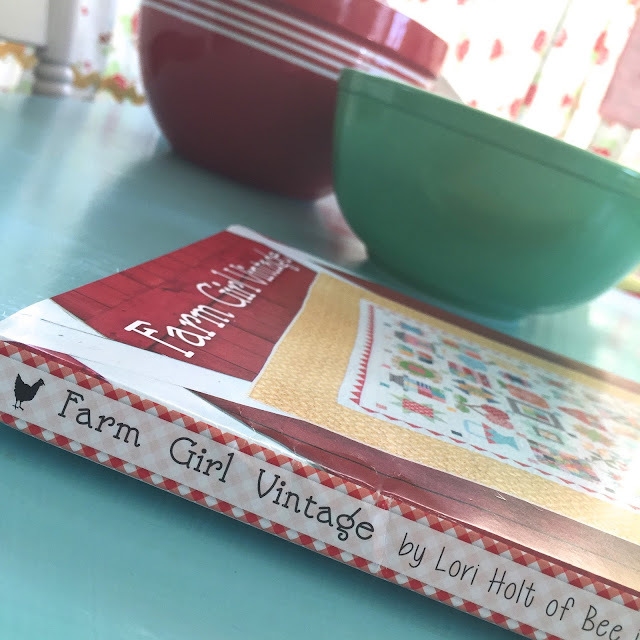 Bee In My Bonnet: Farm Girl Friday - Week Eleven!!! project like I wanted to. scrappy happy farm girl style! 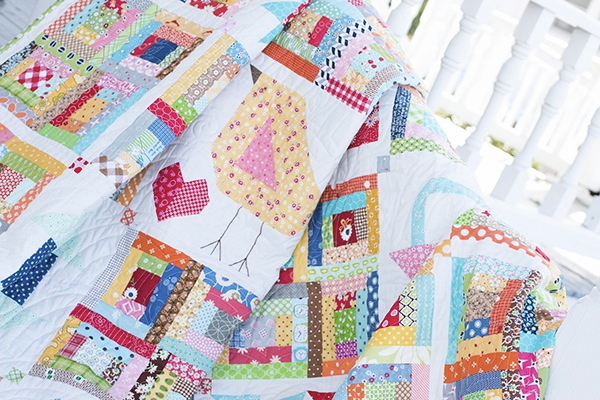 I was sewing the quilts for my book. on page 132 of my book. on this Farm Girl Friday! Have a farm girl kind of day! I am always happy too. Guess what? every time you write "Good morning cute people" on your blog, it makes me laugh - because that is what I have been writing to my 92 year old parents every morning for the past 10 years. Or, "Hi cute Peoples"I am taking care of them for the past 3 years. long story. I am the luckiest daughter ever. I have a ton of olden Singers, and my mom's Singer 316G from Germany 1954. It is a tank and will sew concrete without a sniffle. I hope you have a marv-tastic day dear. 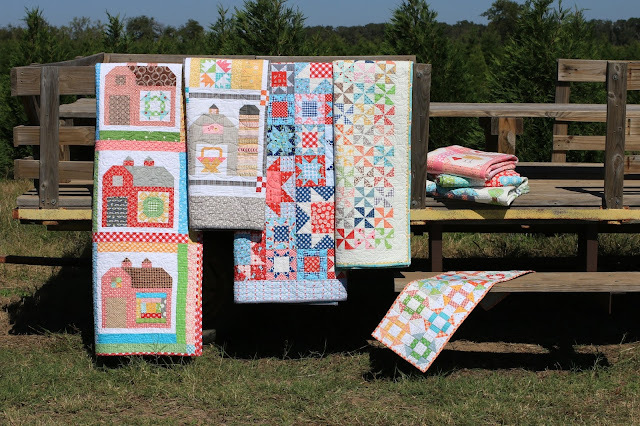 Lori - it doesn't matter how many times I see pics of your beautiful quilts - each time my heart jumps with happiness and motivates me to keep sewing! 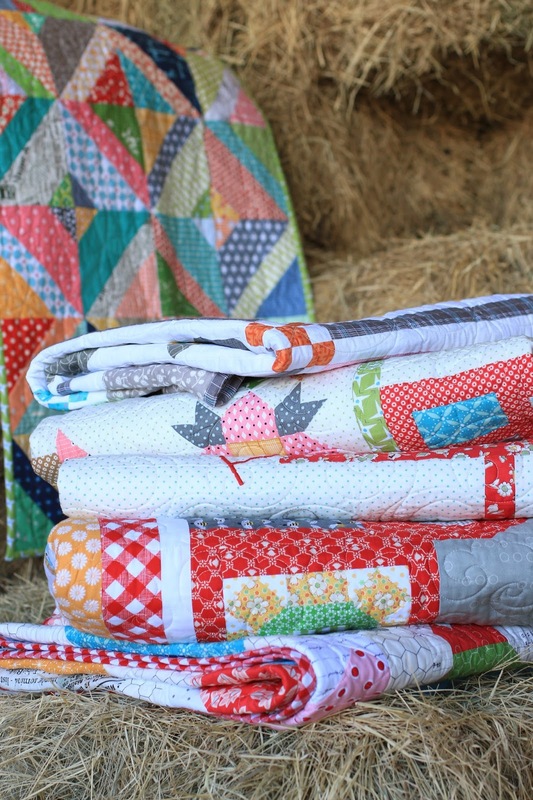 You make the happiest, scrappy quilts I know of. 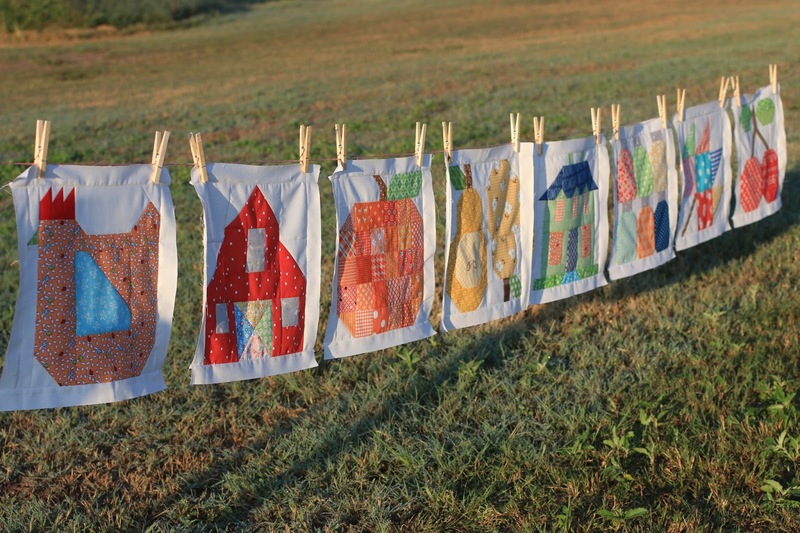 I've been 'piecing' your fruit blocks from my scrap baskets and have been busy buying pillow forms - because I love how you make pillows from your wonderful blocks :)! 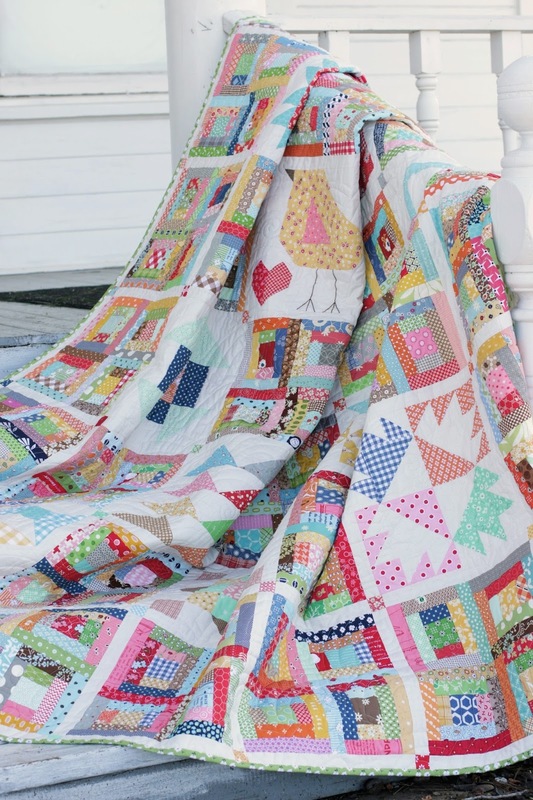 Absolutely love your quilts and vintage style! Hello there Lori. 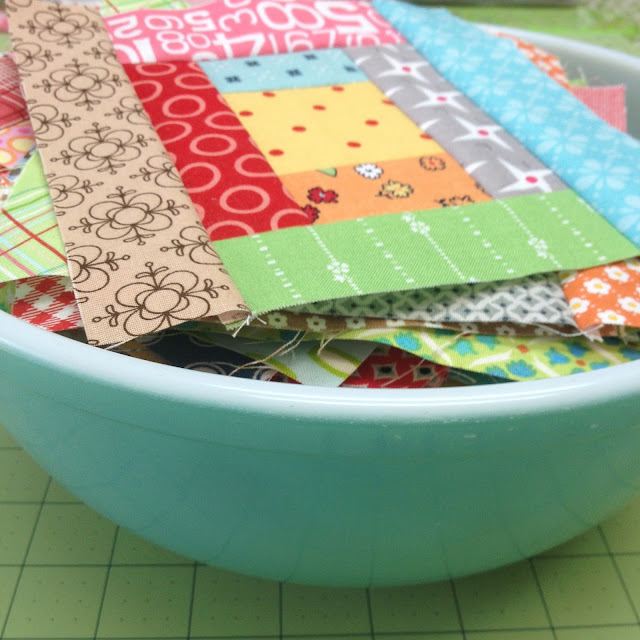 I'm a newcomer to your blog and oh so happy I found you. 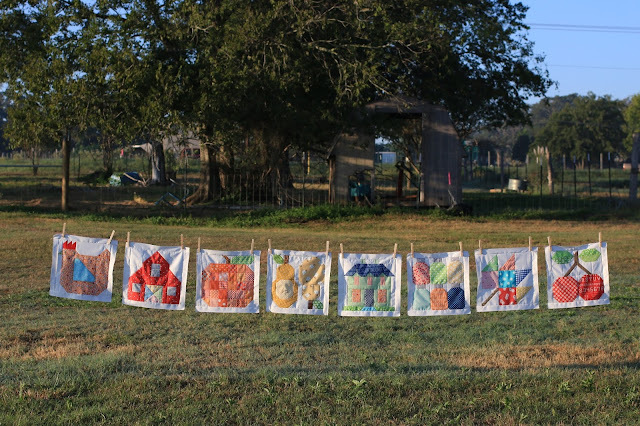 I am just learning to quilt & I love to make farmers market totes that are free style quilted. I found you thanks to my Mary Janes Farm magazine. I will be reading your blog from this day forward. When did you start your blog btw so I know how far back I need to go? I also love all things vintage and country. 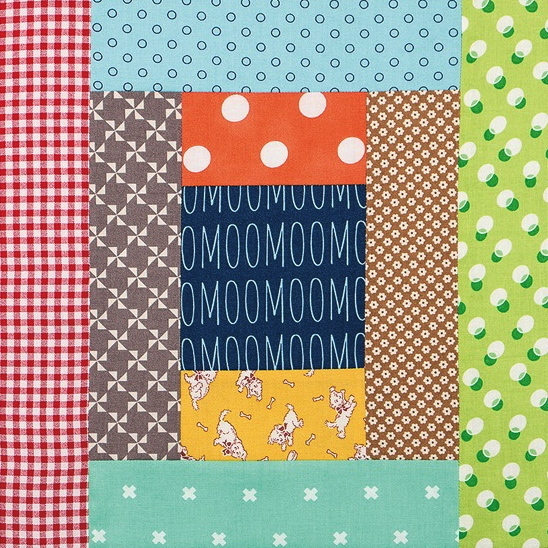 I am dying to try making that baby chick pillow that's in the intro of the August/September issue of the magazine. It's so cute! Any way I could get a pattern or a tutorial for it? If so, I'd be ever so happy & thankful. Anyway, looking forward to more cute stuff. Your new Pacific Northwest fan, Deb. 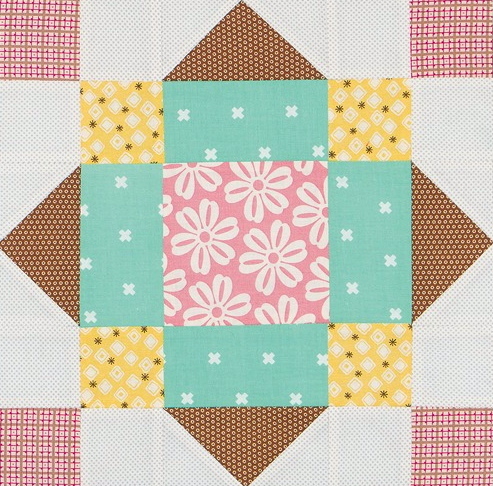 Lori-I am not sure how I found you (I think it was on Pinterest) and after a 15 year hiatus from quilting, your designs have renewed my passion for quilting. Although I have a very modern home, your designs just call to me. I just LOVE your Farm Girl Friday!! I wish I had seen all of this earlier so I could sew along but I still can...just belatedly. Thank you so much for all you do and I am excited to read through your past blog posts and I look forward to your future ones! Take good care!